Don’t Miss Out On These Great Specials, Call Today! 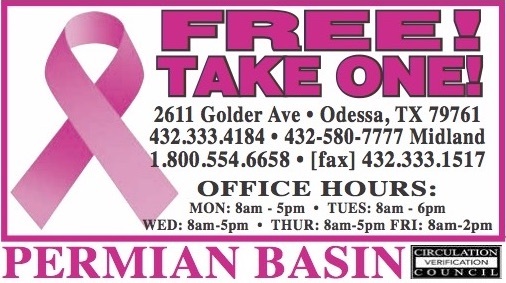 At Thrifty Nickel we support Breast Cancer Awareness Month and we’ve changed our header for the month of October. In this we hope to bring awareness to the 1 in 8 women in our lives who will experience breast cancer at some point. We can only hope that one day this dreaded cancer will be a thing of the past! 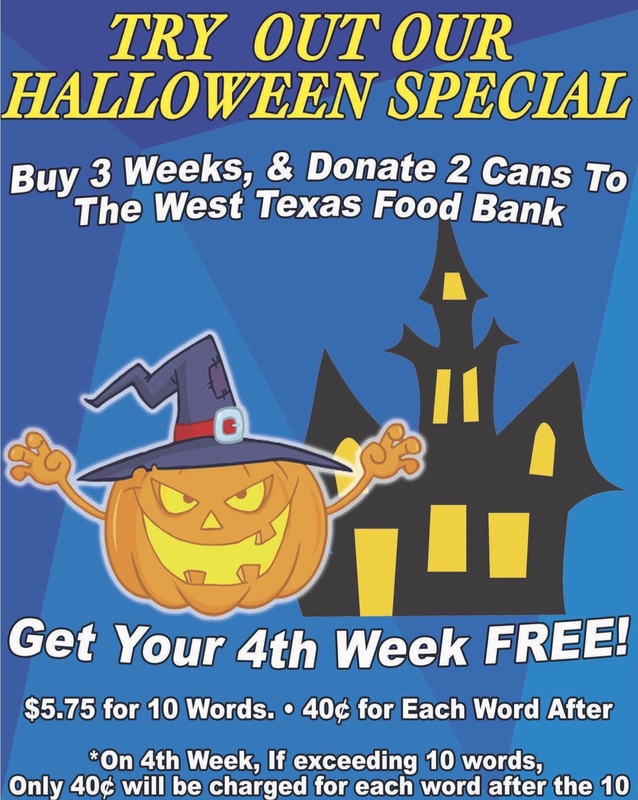 Right now at Thrifty Nickel when you buy a classified ad for three weeks and donate two cans of food, we’ll give you a fourth week free! The fourth free week is up to ten words, and each word after is only forty cents. No variations of this promotion are allowed, food must be donated at time of ad placement. All the food we collect will go toward The West Texas Food Bank, where they work tirelessly to end hunger in our community! Don’t miss out on this great deal, and feel happy that you’ve done a good deed too!